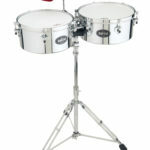 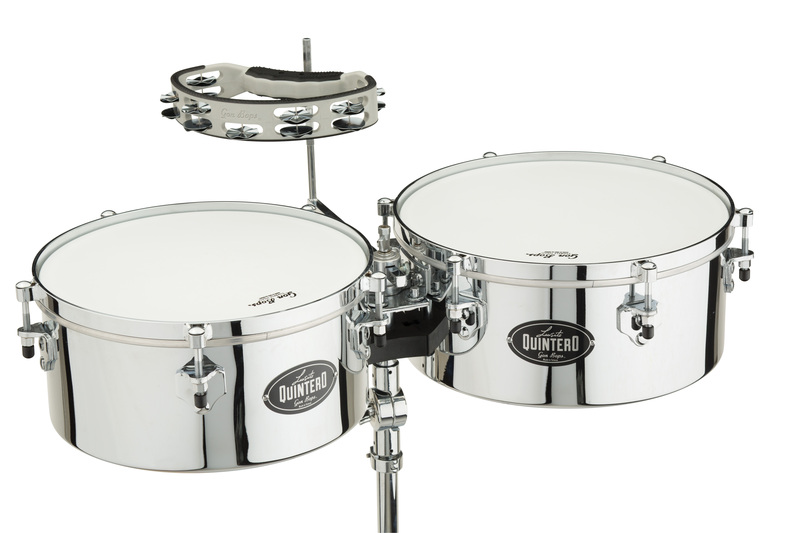 Created with Master Timbalero Luisito Quintero, this chrome-over-steel timbale set provides highly versatile, penetrating tone for Latin, Jazz, Rock or Pop. 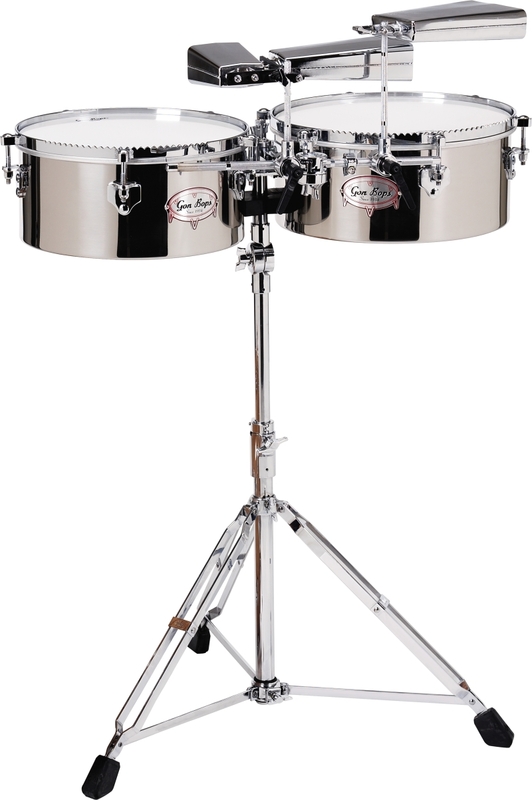 The superb shells deliver lively cascara designed to cut with clarity, and the low profile hardware with recessed tuning rods offers unparalleled playability. 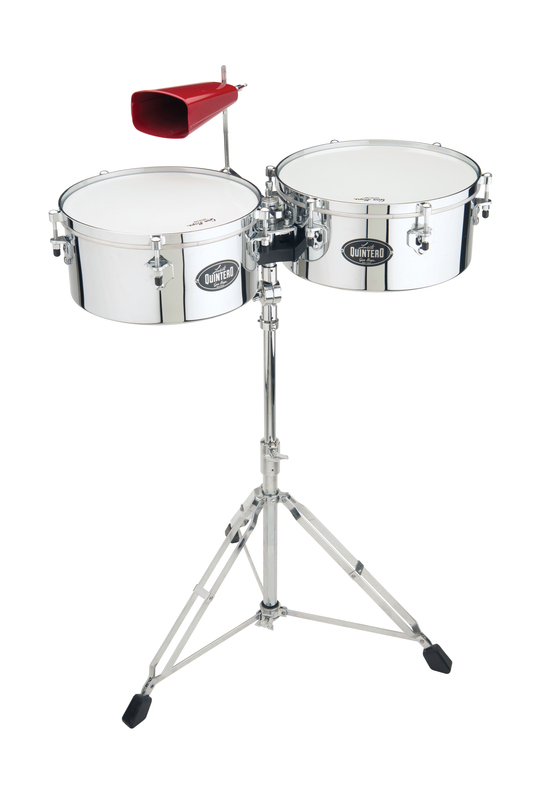 The set is rounded out with a heavy-duty timbale stand with Push-Lock mounting system and Mega-Tripod Base, designed to withstand the toughest touring schedule.